While John Wick runs from the murder scene at the Continental Hotel and to New York City to avoid the consequences of his ex-communication, movie lovers will race to cinemas to see the third entry in the John Wick film franchise. 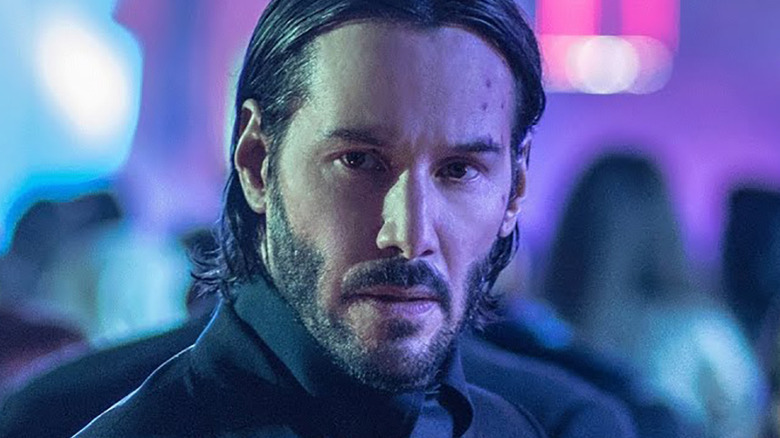 Now, less than a week after John Wick: Chapter 3 officially got behind the cameras, studio Lionsgate has confirmed the three-quel's release date. John Wick will be seeing you in exactly one year from the time of writing, when John Wick: Chapter 3 is released on May 17, 2019. Though we've known about the release date for a while now, this marks Lionsgate's official commitment. The studio made the confirmation through a drippy black-and-white video, posted to the John Wick Facebook account and shown at the bottom of this article, that sees Keanu Reeves suited up as the eponymous hired assassin, standing in the rain. John Wick: Chapter 2 director Chad Stahelski, who also co-directed the first John Wick movie, is back at the helm for Chapter 3, which will pick up right where the sequel left off. On the cusp of being formally cut off from the Continental Hotel and its associates, the high-ranking individuals that circulate in the criminal underworld, after he killed another person on the institution's grounds, John escapes to the Big Apple to evade that threat. The Continental's manager Winston, portrayed by Ian McShane, grants John a one-hour grace period before his membership is fully revoked. Let's just hope 60 minutes is enough time for John to find safety. Stahelski previously shot down speculation that suggested Chapter 3 would, like the second movie, go international and shoot scenes in Russia and Spain. As the filmmaker explained, the heart of the film's action will be set in New York. "We want, not so much to go bigger on the third one, but to show you more of the intricacies of the world … I feel like there are all these different subtleties that I skipped over in number two, that I'd like to go back to on [Chapter 3] and show you the inner workings of different parts of New York. So rather than massive set pieces, I'd like to show you cooler and more intricate one," he explained. "I think it would be a mistake budget wise and creatively to just go big and blow up a freeway. That's not our gig. That's a comic book or a Bond gig. We want to show you cool and intricate details. What are those little details in everyday life? Hopefully, we make people look at garbage collectors and cleaner vans and homeless people a little differently now." Here's the official synopsis for John Wick: Chapter 3: "John Wick (Keanu Reeves) is on the run for two reasons — he's being hunted for a global $14 million dollar open contract on his life, and for breaking a central rule: taking a life on Continental Hotel grounds. The victim was a member of the High Table who ordered the open contract. John should have already been executed, except the Continental's manager, Winston, has given him a one-hour grace period before he's 'excommunicado' — membership revoked, banned from all services and cut off from other members. John uses the service industry to stay alive as he fights and kills his way out of New York City."